AuthorMitaliPerkins: Shubo Boi Jonmodin, THE SECRET KEEPER! Shubo Boi Jonmodin, THE SECRET KEEPER! "Shubo Boi Jonmodin" means "happy book birthday" in my mother tongue, Bangla. 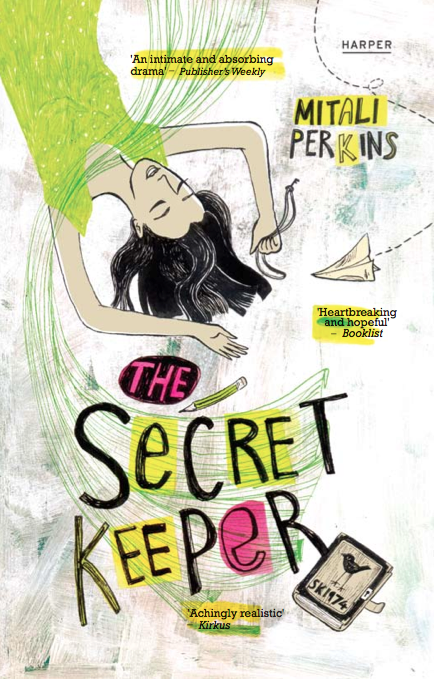 Today I'm celebrating the release day in India of THE SECRET KEEPER, published by HarperCollins India. It's fitting that I visited a school this morning in Concord, Massachusetts and drove past the home of Louisa May Alcott, since THE SECRET KEEPER was partly written in homage to LITTLE WOMEN. Godspeed in South Asia, my little book!